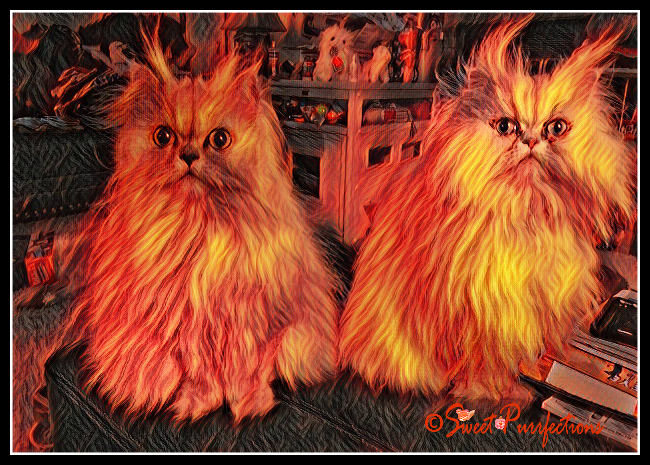 We always thought we were hot ladycats until we found the "flameart" effect in LunaPic. We started to save this design for Halloween, but loved it so much, we decided to use it today. Our fur horns really do give us the effect of flames. Mom Paula says not to worry. She says we're sweet little angels - most of the time. MOL! 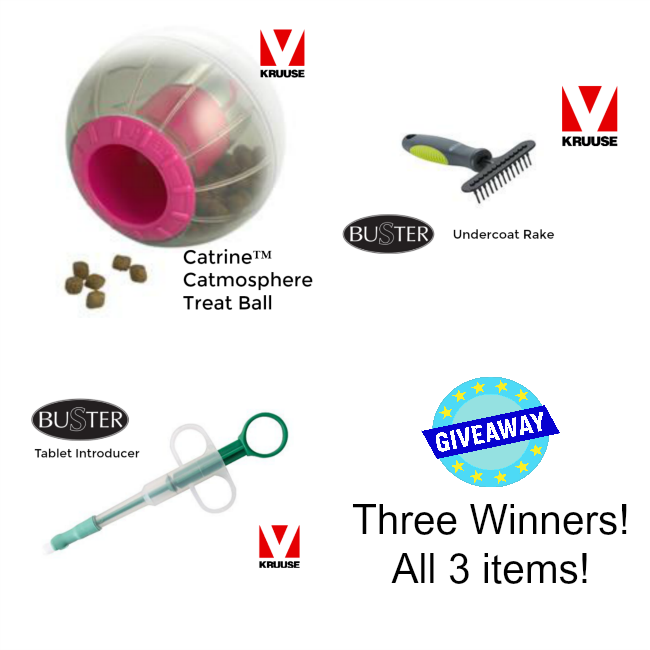 Don't forget to enter our HOT giveaway for the 3 items from KRUUSE. Giveaway ends August 9 and there will be 3 winners. Wow, you girls really ARE hot!!! The way our temperatures have been lately, I feel like I'm going to burst into flames too. Cool effect. WOW! That is a really HOT picture! You are some hot kitties. Love the effect. That is one hot photo! That is a beautiful piece of art! I love that effect for you! You need that look in the winter time sweeties! Whoa! That would work great for Halloween! The girls are flamers. Woo-hoo! You girls are SMOKIN'!